Tom Hamilton began flight testing the Glasair TD and founded Stoddard-Hamilton Aircraft in 1979. 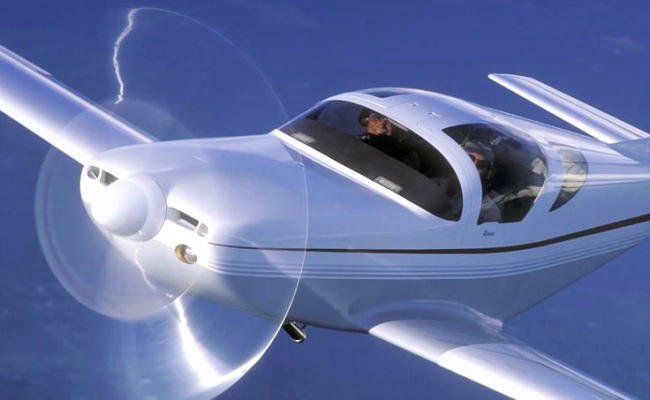 Glasair Aviation was formed in 2001 when Thomas W. Wathen purchased the Glasair assets from bankrupt Stoddard-Hamilton Aircraft, Inc. and signed an agreement with Arlington Aircraft Development, Inc. (AADI) to buy all rights to and assets of the GlaStar model. The new companies New Glasair, LLC and New GlaStar, LLC are marketed under the Glasair Aviation name. More than 3000 Glasair kits have been delivered worldwide. In July 2012 the company was sold to the Jilin Hanxing Group of China, who formed a new company Glasair Aircraft USA, LLC. Jilin Hanxing Group indicated that they intend to certify the Glastar design and otherwise retain production in Arlington, Washington. TieJi Fang, chairman of the Jilin Hanxing Group, said that he envisions the company producing trainers for flight schools and eventually personal aircraft for the Chinese market. He stated that purchasing Glasair was "the first step in a very long journey". AERONUVO, a member of the National Aircraft Appraisers Association (NAAA) has access to important data for many Glasair Aviation Light Sport Aircraft (LSA) and fully certified models. This critical repositiory of information, assists in the creation of Glasair aircraft appraisal reports. AERONUVO, a member of the National Aircraft Appraisers Association (NAAA) has access to important data to perform and deliver an aircraft appraisal for many Glasair aircraft models. Objective, accurate and unbiased as always. Glasair Aviation Glasair I FT, Glasair Aviation Glasair I, Glasair Aviation Glasair II, Glasair Aviation Glasair II RG, Glasair Aviation Glasair III, Glasair Aviation Glasair III RG, Glasair Aviation Glasair Super II FT, Glasair Aviation Glasair Super II RG, Glasair Aviation GlaStar, Glasair Aviation Sportsman 2 Plus 2, 2+2, Glasair Aviation FT, Glasair Aviation Merlin LSA. AERONUVO can deliver a professional opinion and appraisal report of the present fair market value (FMV) price on an aircraft, the value on an aircraft to be renovated or modified and the value of an aircraft as a prudent safeguard against excessive tax assessments, capital gains and other taxes. Our Premier and Certified Aircraft Appraisal Services include Aeronca, Aero Commander, American Champion (ACA), American General, Aviat Husky and Pitts, Beechcraft (Beech), Bellanca, Citabria, Cessna, Cirrus, CubCrafters (Cub Crafters), DAHER SOCATA, Diamond, Ercoupe, Glasair, Great Lakes, Grumman American, Lancair, Luscombe, Maule, Mooney, Piper, Rockwell Commander, Stinson and More. 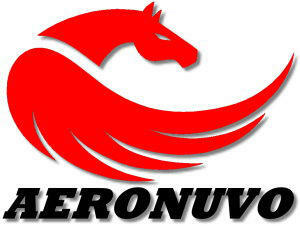 AERONUVO, The Aircraft Appraisal and Valuation Company is not affiliated with the Glasair Aviation Aircraft Company. Each time maintenance, including preventive maintenance, is performed on your aircraft, an appropriate entry must be added to the maintenance records. 14 CFR Part 43, Section 43.9, Content, form, and disposition of maintenance, preventive maintenance, rebuilding, and alteration records (except inspections performed in accordance with part 91, part 125, §135.411(a)(1), and §135.419 of this chapter; Any person who maintains, rebuilds or alters an aircraft, airframe, aircraft engine, propeller, or appliance shall make an entry containing: • A description of the work or some reference to data acceptable to the FAA, • The date the work was completed, • The name of the person who performed the work, and • If the work was approved for return to service, the signature, certificate number, and kind of certificate held by the person approving the aircraft for return to service. FT, GlaStar, Merlin LSA and More . . .